I watched this again, so I figured I would repost my previous review of it since you likely didn’t see it the first time around. 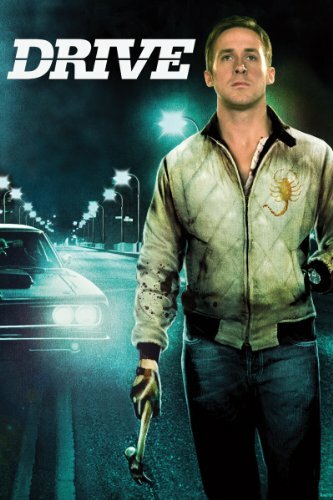 Drive is my favorite movie of 2011. Drive also has some of the most abhorrent cover art ever, I literally hate to even post it. After the movie’s release it seemed like people either loved it or hated it, and I think I can pinpoint why that is. I did the same thing. I re worked my review because I was just getting started on WordPress when I posted it. I think it is better than just a 2011 greatest list. I think it should go down on a decade’s top ten list. It is just one great movie. Yeah, I thought about redoing my review but was too lazy. I think it’s not only one of the best of the decade but it’s one of my top ten favorites of all time. Hey Andy thanks for liking my latest blog entry. Joe Schmoes hehehe. Dude this is one of my favorite films! Check out my review if you like 😀 Cheers again! I love Drive it’s definetly cult classic in the making. One of the most unique movies from last year, for sure. Yeah, absolutely on both counts.